KEVIN HARRIS: Dr. Craig, every time we talk about Boltzmann brains I learn a little bit more about it. I know that it’s a deep, complicated, yet fascinating topic. I would refer our listeners back to some earlier podcasts where we’ve talked about this. It came up a few times in your debate with Sean Carroll. DR. CRAIG: Yes, indeed it did. The Boltzmann brain scenario is one of the most powerful objections which has been lodged by Roger Penrose against multiverse theories. That is to say, the view that the fine-tuning of our universe can be explained by saying that there exists a World Ensemble of different randomly ordered universes so that by chance alone fine-tuned universes will appear somewhere in the Ensemble. And since only finely tuned universes have observers in them, it’s not surprising that we observe the initial conditions of our universe to be fine-tuned for life. Penrose’s objection to this multiverse or World Ensemble hypothesis is that if we were just a member of a World Ensemble randomly ordered then it is vastly more probable and comprehensively more probable that we should be observing a much different universe than we do. The fact is that there are observable universes which are not finely tuned in the way our cosmos is for intelligent life. You could have a universe which is in thermodynamic equilibrium – just a featureless sea of chaos with just a tiny patch of order in it, say, no larger than our solar system. A world like that could be observable. There could be observers in that little patch even though the universe isn’t finely tuned for their existence. That kind of world is far, far more probable than a finely tuned universe like ours. In fact, the most probable observable universe would be a universe which consists of a single brain which fluctuates into existence out of the energy locked up in the quantum vacuum with illusory perceptions of an external world and universe around it. So the argument is that if we were just a random member of a multiverse then each one of us ought to believe that he is a Boltzmann brain and that he is all that exists and that your body, other people, this room, the earth, the universe is all an illusion of your brain. And no sane person believes such a thing. This provides a very powerful argument that the fine-tuning is not to be explained by saying that we’re just a random member of a World Ensemble of universes. This Boltzmann brain objection is a very, very difficult problem for multiverse enthusiasts. KEVIN HARRIS: A Boltzmann brain in a vat problem! It is almost like that. DR. CRAIG: It is like the old philosopher’s idea of the brain in a vat stimulated by the mad scientist to hallucinate the external world around him including his wife and children and buildings and all the rest of the world. Except in this case you have an actual scientific basis for the hypothesis, namely the existence of a randomly ordered World Ensemble. KEVIN HARRIS: Yeah. Is there any overlap in the concept of the Boltzmann brain and the Anthropic Principle that John Leslie puts out? DR. CRAIG: Yes, oh very much so. The Anthropic Principle says that we shouldn’t be surprised to observe conditions of the universe that are finely tuned for our existence because, after all, if they were not finely tuned then we couldn’t be here to be surprised about it. Now, the Anthropic Principle alone doesn’t explain why in fact a fine-tuned universe exists; it just explains why (if one exists) observers who have evolved within it shouldn’t be surprised to see it fine-tuned for their existence. The Anthropic Principle gets its bite from being conjoined with the World Ensemble hypothesis. The idea there is that you’ve got a World Ensemble in which all of these different possibilities are actualized, and the claim is that only in finely tuned worlds are there observers, and therefore the fact that we observe the fine-tuning does not point to anything that is improbable or inexplicable. As I say, the fallacy is exposed by the Boltzmann brain objection. In order for us to observe a world, it doesn’t need to be finely tuned for our existence. It could just be a patch of order the size of the solar system or even just a single brain. And so the Anthropic Principle loses its bite in trying to eliminate the improbability of a finely tuned universe. DR. CRAIG: Before we plunge into this article, it’s important to distinguish here “many-worlds theory” that he’s speaking of from the multiverse or the World Ensemble that I was talking about. The multiverse hypothesis, or World Ensemble hypothesis, is a hypothesis in classical cosmology. It’s the idea that there exists an array of universes like ours. But what Koberlein is talking about here is the so-called many-worlds interpretation of quantum physics, and that’s a very different kettle of fish. The mathematics of quantum mechanics are consistent with at least ten different physical interpretations that I can think of, and nobody knows which physical interpretation is correct. You can do the equations, get the results, verify it experimentally, but nobody is really sure what is the correct physical interpretation of this theory. And one of these physical interpretations is this many-worlds interpretation which holds that every time a measurement is made on a quantum situation – a quantum state – that the world splits in two and kind of forks. So there are all these different realities constantly proliferating as a result of these quantum measurement situations. Obviously this is extremely high-level metaphysics that we’re dealing with here. DR. CRAIG: That’s the Boltzmann brain idea. Ludwig Boltzmann was an Austrian physicist in the 19th century who wanted to explain why we observe the universe to be in a disequilibrium state. If the universe has existed forever then according to the second law of thermodynamics it ought to have ground down to a state of thermodynamic equilibrium where there was no usable energy left. But obviously that’s not the universe we live in. Our universe is in a disequilibrium state – there are stars that are burning and can be seen, there’s living things on this planet, and so forth. So why do we live in a disequilibrium state if in fact the universe has existed forever? Boltzmann’s daring hypothesis was to say that maybe in fact the universe as a whole is in an equilibrium state but here and there throughout this vast expanse of equilibrium there will appear by chance alone little fluctuations that will be little pockets of disequilibrium where this disequilibrium state will form and then after a while it’ll dissolve and go back into equilibrium again. Boltzmann referred to these different little pockets as worlds. He said maybe our universe – our world that we observe – is just one of these little pockets of disequilibrium in this overall equilibrium state. Well, I think you can see the objection that’s coming here. A vast, vast state of disequilibrium like ours is incomprehensibly more improbable than a very tiny fluctuation that would produce, say, our solar system or even just a single brain that has illusions of the external world. So Boltzmann’s hypothesis led to these Boltzmann brains that, if his view were really correct, it would turn out that we’re just Boltzmann brains and therefore all of our perceptions are illusory and cannot be trusted. It’s a self-defeating sort of hypothesis, and therefore contemporary physics has universally rejected Boltzmann’s hypothesis and instead has come to the conclusion that the reason we’re in a disequilibrium state is what’s called the “past hypothesis.” That simply states that the universe began to exist in the relatively recent past about 14 billion years ago and that it simply began with an initial condition of very low entropy. It had an initial low entropy state that was just put in as an initial condition at the moment of creation, and it has been winding down since then in accord with the second law of thermodynamics. Since the past is only finite, all the energy hasn’t been used up yet and that’s why we still see burning stars and life and so forth today. KEVIN HARRIS: What has always fascinated me is that a Boltzmann brain existing is more probable than a universe existing. How does that play into the whole thing? DR. CRAIG: In Boltzmann’s theory, remember, a world is a fluctuation from a state of equilibrium, and a little tiny fluctuation that would just produce a brain is much more probable than a massive fluctuation that would produce a real universe like ours – a universe that for 14 billion years in defiance of the second law of thermodynamics has decreased in entropy to the state that we find today. So that’s why the Boltzmann brain is far more probable. The parallel to this is in the multiverse theory that’s attacked by Penrose in exactly the same way – if you have a multiverse of randomly ordered worlds then the worlds that have observers in them will mostly be Boltzmann brain worlds because those are so much easier and more probable than worlds in which you have this fantastic fine-tuning to produce observers like ourselves. Since entropy increases over time, the early universe must have had much lower entropy. This means the Big Bang must have had an extraordinarily low entropy. But why would the primordial state of the universe have such low entropy? DR. CRAIG: This is the notion that this is simply put in as an initial condition. This is called the fine-tuning of the universe. Roger Penrose says that the initial low entropy condition of the universe has a probability of one chance out of ten to the power of ten to the power of a hundred and twenty-three – an incomprehensible number, and there isn’t any explanation for why the universe has this initial low entropy condition. It just begins that way. It’s put in at the moment of creation as an initial condition. Boltzmann’s theory provides a possible answer. Although higher entropy states are more likely over time, it is possible for a thermodynamic system to decrease its entropy. For example, all the air molecules in a room could just happen to cram together in one corner of the room. It isn’t very likely, but, statistically, it is possible. The same idea applies to the universe as a whole. DR. CRAIG: That’s Boltzmann’s idea. Remember the universe is a sea of equilibrium, but then by chance alone there will be these little pockets of disequilibrium. So he’s going to try to use this discarded hypothesis in physics to try to explain the initial low entropy condition of the Big Bang. OK, good luck! What’s he going to do? The same idea applies to the universe as a whole: If the primordial cosmos was in thermodynamic equilibrium, there is a small chance that things came together to create an extremely low entropy state. That state then triggered the Big Bang and the universe we see around us. DR. CRAIG: OK, so the hypothesis here is that, contrary to observations and contrary to everything that astrophysics and astronomy tells us, in fact the universe did not begin in a low entropy state. It was actually in this high entropy state of thermodynamic equilibrium, but there would be these little fluctuations that might form a little low entropy pocket that would then blow up or expand into our universe that we see around us. So it’s similar to Boltzmann’s theory. It is a theory that flies in the face of observations which is that the universe began in a low entropy condition; rather the claim is a sort of ad hoc claim that no, no, the universe began in a high entropy condition and we’re just the result of a little pocket of low entropy that came about by chance. However, if the low entropy of the Big Bang was just due to random chance, that leads to a problem. Infinite monkeys might randomly type out the Complete Works of Shakespeare, but they would be far more likely to type out the much shorter Gettysburg Address. Likewise, a low entropy Big Bang could arise out of a primordial state, but if the universe is a collection of microstates, then it is more likely to find itself in a conscious state that thinks it is in a universe rather than the entire physical universe itself. DR. CRAIG: Alright, that’s a rather poorly expressed expression of the Boltzmann brain problem; namely, if our universe just is one of these little perturbations in the primordial equilibrium then it’s vastly more probable that we would just be a single brain rather than we would see a real universe – a real cosmos – around us. It’s exactly the same problem that Boltzmann encountered. That is, a Boltzmann brain existing is more probable than a universe existing. Boltzmann’s theory leads to a paradox, where the very scientific assumption that we can trust what we observe leads to the conclusion that we can’t trust what we observe. Instead, as the universe expands, the edge of the observable universe causes thermal fluctuations to appear, much like the event horizon of a black hole gives rise to Hawking radiation. This gives the appearance of vacuum fluctuations, from our point of view. The true vacuum of space and time isn’t fluctuating, so it cannot create a Boltzmann brain. So, in order to avoid the Boltzmann brain problem, we’re being invited to embrace this alternate physics that says there really aren’t vacuum fluctuations contrary to observations, that we should adopt this ad hoc view that these things are not real but that these come from another source. Now here is the real clincher though. He says there’s a catch, however: “The argument that the true vacuum of the universe is stationary relies on a version of quantum theory known as the many-worlds formulation.” In other words, to avoid the Boltzmann brain problem you need to embrace the many-worlds interpretation of quantum physics which I think most physicists would say is a reductio ad absurdum of this hypothesis. You can see the desperate lengths to which you go in order to avoid the problem. So, to recap, the problem is that to have a high entropy beginning of the universe contrary to observations is going to generate Boltzmann brains. To avoid the Boltzmann brains you’ve got to adopt the many-worlds interpretation of quantum physics. And I think it just shows the sort of desperate and ad hoc lengths to which some persons are compelled to go in order to explain away the evidence of fine-tuning. 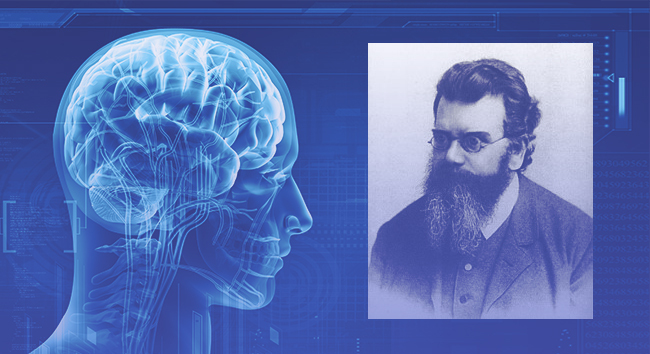 http://nautil.us/blog/can-many_worlds-theory-rescue-us-from-boltzmann-brains (accessed May 14, 2018).